These bunk beds are lovingly handcrafted and designed to be sturdy enough to stand everything a boy can throw at them. 3-4 teenage boys rough-housing on top? No problem! These beds can handle it. Running out of room in the bedroom? No problem! These beds give you a desk & sitting area under the bed. Dimensions 115cm wide by 205cm long by 200cm high (top of the mattress is about 175cm). There are 2 of these beds with the ladder in mirror image. 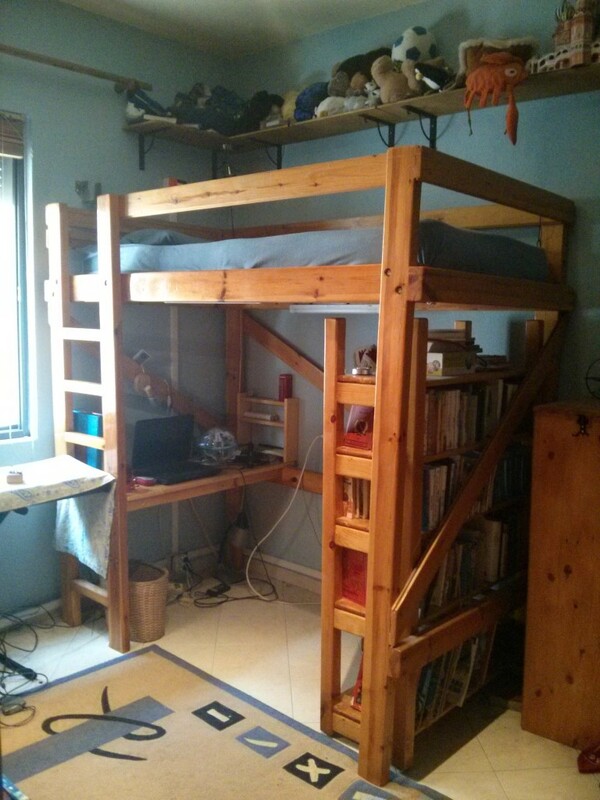 PRICE: $200 for one bed, $350 for both.